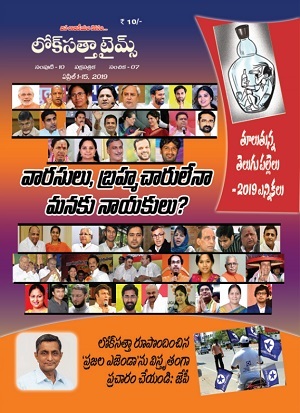 As many of you are aware, Dr.Jayaprakash Narayan, expressed his desire to demit his office as National President of Loksatta Party, to enable him to focus on policy reform and nation building. At the request of the National Council, he has agreed to continue as National Chairman in an advisory role. Dr.Jayaprakash requested the party to initiate a process to elect a new National President, and said that we should set an example in leadership transition, and establish that political party is a collective public trust. A committee under the leadership of Sri Ashwin Mahesh from Bangalore was constituted to select a new National President. As part of a consultative process to ascertain the views of various state units, Sri Surendra Srivastava, a life member of the party from Maharashtra visited Guntur and held a wide ranging interaction with members of the AP Loksatta Party state working committee, and other core members including Katari Srinivasa Rao, a member of the National Council. 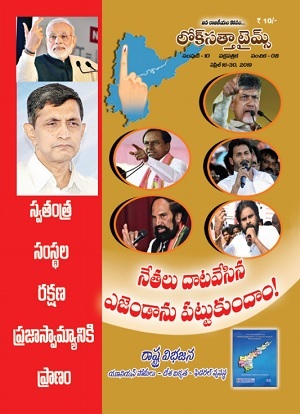 The state working committee members communicated to Sri Srivastava, that as the founder state unit, and the largest constituent member of the party, the AP state unit has a moral responsibility to ensure that the basic structure and ideals of the party are protected, and nothing should be done for short term political expediency. As the current National Council was formed on an adhoc basis, it must be dissolved immediately and a new National Council must be constituted at the earliest with representation from all state units in proportion to their membership strength. Election of a new national leadership must be taken up only after a new National Council is constituted in a representative and proportional manner to ensure legitimacy. The new National Council must institute appropriate rules and policies to govern the party in a decentralized and federal manner after ascertaining the views of all member state units. The new National Council must hold internal elections at all levels by March 2015. The primary goal of the party i.e. to usher a new political culture must be protected at all costs.